Whether you’re looking to create a brand new website for your new church plant or ready to take your church website design to the next level, we can help create the solution you’re looking for. Express your unique brand identity with custom designed print materials and a unique custom logo that communicates your story. We’ll help design the pieces you need to convey your message. Let your new sermon series come alive with professional motion graphics. Engage your audience with custom sermon series intros, special lyrics-to-video tracks, animated announcements, and more. 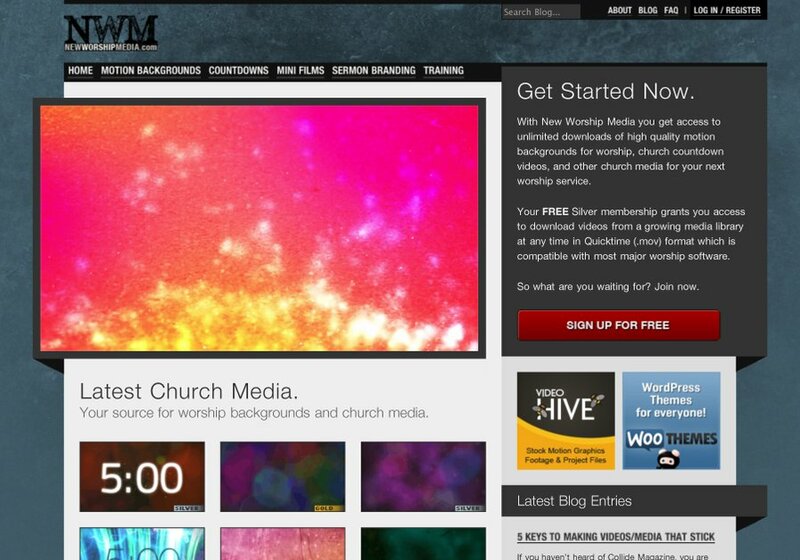 New Worship Media is a worship background and church media website which launched this redesign November 2009. It was built on the WordPress CMS and integrates a signup/login membership system. All video & media available on New Worship Media is also created by Echo Faith Design.